Easter In Maremma …What a surprise! 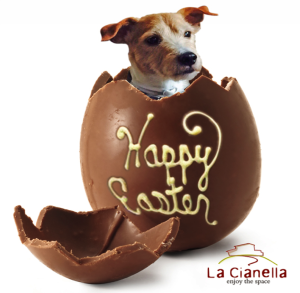 Thanks to the offer “Easter in Maremma ….What a surprise!”, if you spend at least 2 nights at La Cianella from March 30th to April 3rd, you can take advantage of a 7% discount on the rates of our Superior and De Luxe rooms or our apartments. At Easter Tuscany Maremma surprises you: the nature wakes up and walking on the green hills or on the beach you remain astonished; beautiful panorama, sharp colors and strong scents of this still wild land will give you a first taste of spring. And what about taste? It will be nice to discover and appreciate the Tuscany Maremma typical cuisine and its renowned wines. At Easter, at La Cianella, your Tuscany relais, you can enjoy all these experiences saving up to 10% on the price of your stay. If you look for a holiday full of surprises, what are you waiting for?